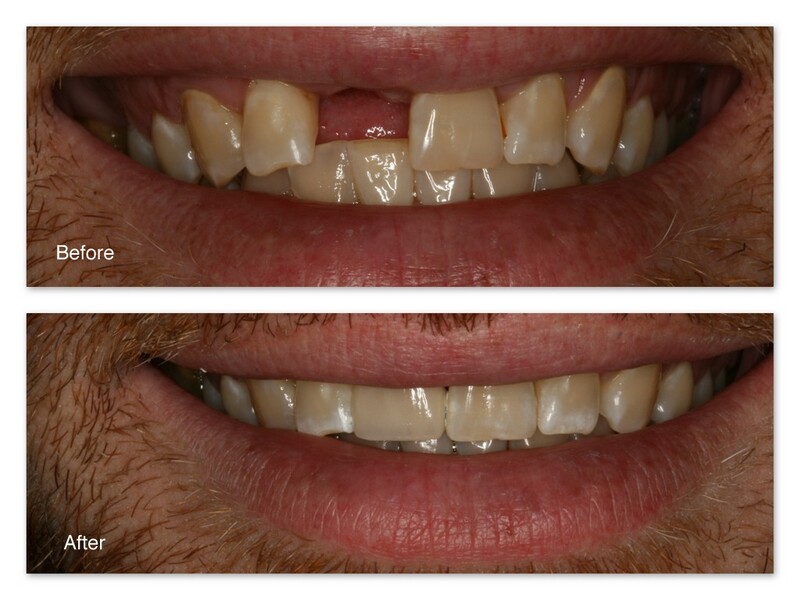 Before– This patient was missing his front tooth and decided not to have it replaced with a dental implant, but he still wanted a replacement that was not a removable appliance. After– Instead of cutting down both teeth on either side of the space to attach a traditional fixed bridge, Dr. Jack Hosner of Portage, MI bonded to the back of his front tooth a Maryland Bridge. These pictures show the thin metal “wing” that is bonded to the one front tooth to hold the bridge in place. Very minimal tooth reduction was performed under no anesthetic. 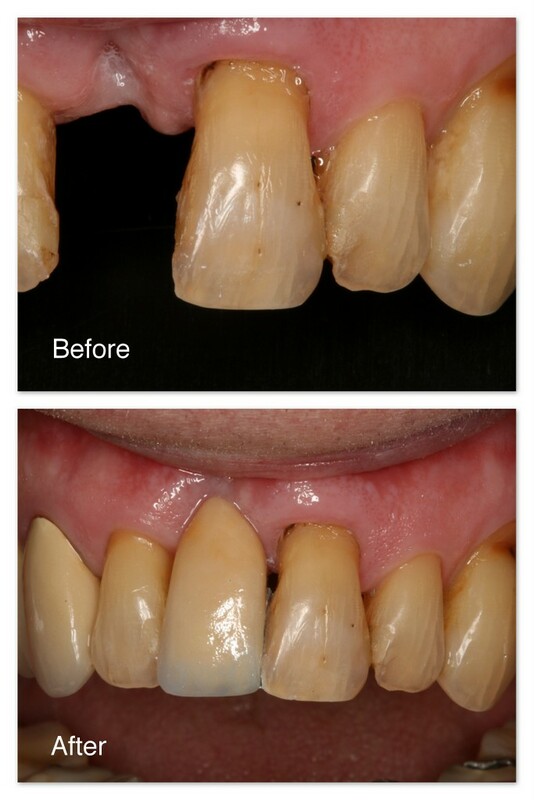 After– Dr. Jack Hosner of Portage, MI bonded a Maryland Bridge to the backs of the adjacent teeth to restore the smile. Very little tooth preparation required. 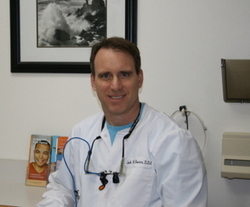 Before– This patient came to Dr. Jack Hosner’s office with a hopelessly failing tooth. This dark tooth could not be saved and needed to be removed. After– This photo shows the dark tooth replaced with a three-unit porcelain fused to metal bridge. Before– This Patient is missing a back tooth. After– A single porcelain fused to metal (PFM) crown and a 3-unit PFM bridge was made by Dr. Jack Hosner of Portage, MI to restore the last three teeth and replace the missing tooth. Before– This patient of Dr. Jack Hosner’s from Portage, MI is missing one upper back tooth and two lower back teeth. 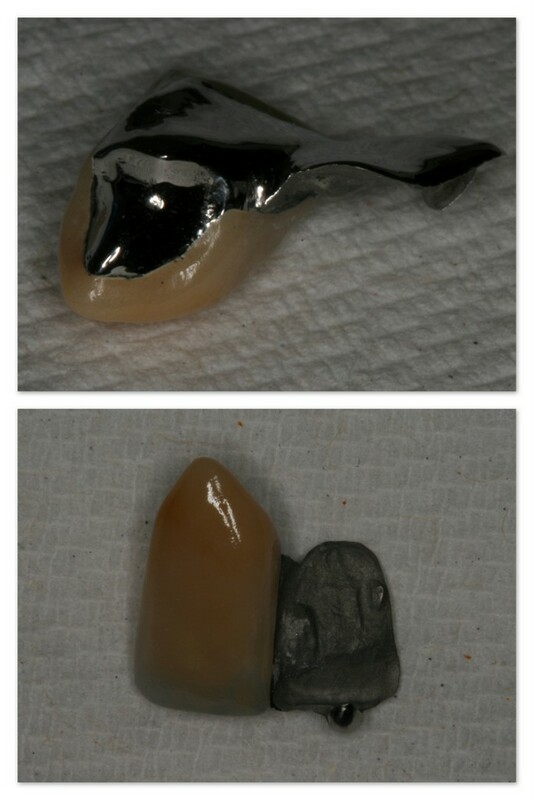 After– One upper 3-unit porcelain fused to metal (PFM) bridge and one lower 4-unit PFM bridge were cemented into place. Before– This patient from Portage, MI is missing two lower teeth on the right side separated by a tooth in-between the spaces. After– Dr. Jack Hosner of Portage, MI cemented a 5-unit porcelain fused to metal bridge to improve this patients appearance and chewing efficiency. 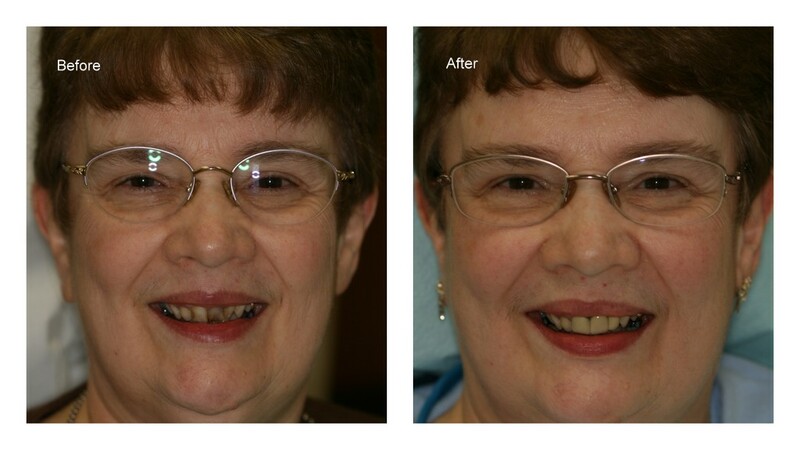 The teeth on the left were restored with dental implants and crowns. Implants were placed by an oral surgeon.